Under my leadership, you will know that opportunities to advance the impact of your profession globally, sustaining a rich platform for you and your company’s talent development, broadening access to the tools you need to succeed, and the unwavering support for supply chain research are indeed top priorities for your 2019 Board of Directors. We are truly in a high speed, quick to evolve and globally complex supply chain environment. Providing the very best, most accessible, high-quality certification, educational learning tools and access to the best professionals and academics builds your capability as a supply chain professional. 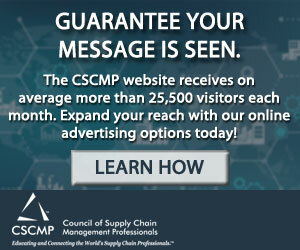 This makes your membership in CSCMP more valuable to you and your company than ever before. In the year ahead, I look forward to promoting thoughtful and insightful leadership into where our organization can bring visibility to advancing sustainable supply chains, research, and programs. There’s no doubt in my mind that CSCMP knows how to advance breakthrough supply chain concepts and develop supply chain professionals…and in fact, doing it sustainably. Layering in a heightened focus on sustainable supply chain leadership provides the needed insights into solutions we all must develop and employ to sustain and serve a growing world population. I would also like to share that as a supply chain executive, I am keenly aware the value diversity brings to success in delivering breakthrough results in the supply chain. No better time than now to mention that CSCMP is ever becoming the place for Women in Supply Chain. Our role in the founding and sustaining collaboration with the AWESOME Organization through the course of the year and the annual EDGE Conference, coupled with the attractiveness for women in supply chain to participate in and lead at all levels in the organization including Roundtables is something I would like all of our members to know about…particularly as March is Women’s History Month. To learn more about your organization and the many opportunities to grow professionally and personally, I invite you to spend some quality time accessing member-exclusive content here cscmp.org, planning now to attend the upcoming EDGE Conference in Anaheim, California cscmpedge.org, and attending Roundtable events in your local area. Since CSCMP's inception, we have seen an increase in the number of women who are members of the organization. These women represent all levels of leadership and stages of career development. As the one true association for supply chain mangaement professionals, CSCMP is a great community because of the amazing members who join CSCMP from all over the world. Please continue to pay it forward and invite a woman you respect to join CSCMP and become part of the community. "I’m celebrating #IWM2019 by acknowledging and thanking one incredible woman each day who has had a positive impact on me through the lens of the past, the present, or inspiring the future. I’ve been fortunate to have had many inspirational mentors and managers who sacrificed much in their past to enable a better future for me. And courageous coaches still hold the mirror to me today to enable me to become a better leader. Every day I’m delighted to see women connecting, challenging and leading to lift one another up. Women’s History Month is a time to intentionally appreciate how far we have come, and how much we all can do to create a more equitable future for everyone." 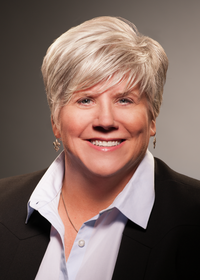 "When women’s leadership skills match their technical acumen, they evolve and lead naturally. To succeed, women need to proactively seek mentors throughout their career to develop leadership expertise from all levels of an organization. CSCMP, with its unlimited resources, provides a platform to accomplish this, and the fruits of this success can be seen as women continue to rise within this industry." Learn more about issues that affect your supply chain and transportation operations, and lend your voice to help shape future discussions on regulatory and legislative issues. Attendees will also be able to meet and interact with presenters who are working every day to promote transportation productivity issues and fight against federal overreach into shipper operations. NASSTRAC is extending a registration discount of $100 to the CSCMP non-member community. Discount expires 4/15/19. Register now with code "EARLY19" and attend The Shipper’s Voice for only $495! 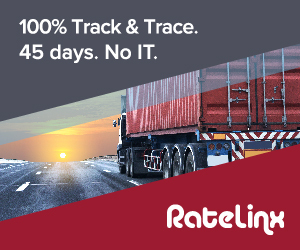 Today’s increasingly complex global economy is driving demand for ever more agile, accurate and traceable supply chain systems to support fast delivery, easy ordering, supply-chain visibility, complete transparency and more. 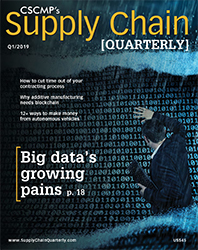 In this Hot Topic, written by Susan Pichoff, Senior Director, Community Engagement at GS1 US, learn how interoperable standards enable scalability for small- to medium-sized brands, help to authenticate products, and provide a foundation for traceability – including potential blockchain solutions – so critical in today’s evolving global supply chain. More information is available at www.gs1us.org. Non-members are welcome to download the report at cscmp.org. 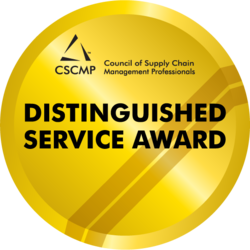 The Distinguished Service Award, CSCMP’s highest honor, is presented to an academic, consultant or practitioner who exemplifies significant, consistent and career-long contributions to the development of the logistics and supply chain management disciplines. 2019 nominations will be accepted until April 30, 2019. The winner will be recognized on stage during Monday morning's opening general session at our 2019 EDGE Conference, September 15-18, 2019, in Anaheim, CA. Deadline to Enter Supply Chain Innovation Award™ Competition Is March 31! Now more than ever, organizations are looking at their supply chains to help with their bottom line. Whether it's Brexit, tariffs, or natural disasters, supply chain issues are consistently appearing, and innovation is essential to navigating the ever-changing business environment. The Supply Chain Innovation Award™ is designed to recognize innovators who dedicate themselves to the advancement of supply chain. If your team has been bursting at the seams to share the successes of their latest supply chain collaborative innovations, submit your story to be considered for the Supply Chain Innovation Award™. Submissions will be accepted through March 31, 2019. Breakthrough Supply Chain eliminates the distortion associated with traditional sourcing events by uncovering transparent and accurate data needed for better decision-making. 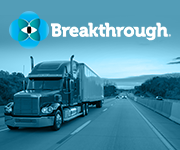 From strategy development, to capacity sourcing, to ongoing compliance management, Breakthrough offers complete transportation lifecycle management that results in increased compliance, a reduction in overall spend, and reduced cost-to-serve. Today’s disruptive supply chain industry has companies scrambling to stay competitive, and CSCMP is here to help. A CSCMP Enterprise Membership provides your entire team access to best practices, up-to-date trends, challenges and solutions from the supply chain community that knows it best. Improve productivity, build skills and network and increase knowledge. CSCMP Corporate Memberships allow companies to provide access, insight and perspective to their entire team. Corporate members receive all the benefits of a Professional Membership, plus special pricing and exclusive services tailored to meet your specific needs and create value for your organization. CSCMP and NASSTRAC Joint Members gain a community of 7,000+ global members. Additional benefits include the opportunity to connect locally through CSCMP's 60+ global roundtables, access to NASSTRAC’s Fast Lane Content Hub for the latest transportation news, and inivitations to attend key executive briefings and conferences hosted by CSCMP and NASSTRAC. The TMS market is evolving as vendors of TMS technology add more-advanced functions to support increasingly complex transportation requirements. Supply chain leaders should utilize the model presented here to better understand the extended capabilities offered by TMS solutions. Learn about the value and benefits of implementing or upgrading a Transportation Management System (TMS) from top logistics expert SVP Dave Maddox from nVision Global. Join us as he shares stories, problems, and candid advice. • Evaluate potential TMS solutions for your organization by assessing your level of transportation complexity and identifying the extended TMS capabilities required to support it. • Take a holistic evaluation approach to selecting a TMS solution by evaluating both extended capabilities and other key factors, including geographic support (functional and service), global trade management and international transport bookings. This webinar is exclusive to CSCMP members, join CSCMP today to register for this member-only webinar. This installment featured another outstanding panel of industry experts who shared their insights and provided ideas for your transportation strategy in 2019 and beyond. Join CSCMP today to gain access to this replay. CSCMP newsletter subscribers can attend the following webinar for free, thanks to CSCMP strategic partner, GS1 US. 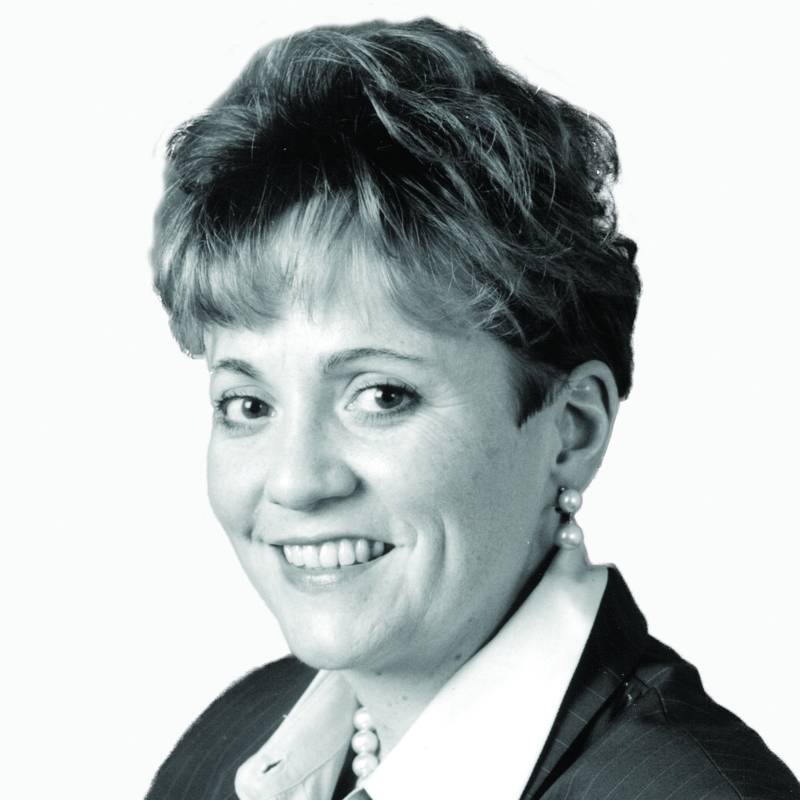 Join Susan Pichoff, GS1 US Sr. Director of Community Engagement, on Tuesday, April 16, from 2:00 to 3:00 PM ET, to get an overview of the new GS1 US GTIN Adoption and Usage Model as well as a detailed Implementation Roadmap for each level of maturity in the U.S. Retail Supply Chain. Who should attend? 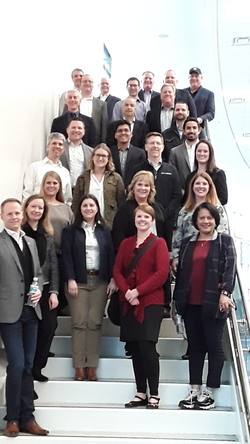 This month more than 20 volunteer Track Chairs united during CSCMP’s 2019 Track Chair Orientation with the goal to develop educational content for the EDGE conference in Anaheim, California, meant to create dialogues that encourage insights, energy, and passion, to ultimately drive awareness and innovation across your organization. Tracks at this year’s conference will reflect the end-to-end supply chain.Track Chairs are working to create in-depth sessions that will include the latest in innovations, challenges, and opportunities emerging in the discipline. Presented by skilled and experienced speakers, these sessions will take you on a deep dive into evolving strategies, allow you to explore case studies and best practices, and develop new skills. Not registered for EDGE yet? Join more than 3,000 supply chain professionals at supply chain's premier event™ in Anaheim, California by registering today! Save $300 when you use the code MARCHNEWS at checkout by March 31, 2019. Register today! It takes a lot to be a global leader. 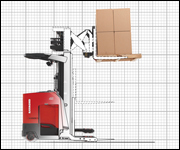 It takes a proud history of engineering material handling solutions that lead the way in innovation. It takes skilled and talented people committed to constant improvement. It requires a level of service that offers end-to-end solutions that anticipate customers’ needs. But now, reality is beginning to set in. As more companies try to wrap their arms around their "big data" and implement more complex analytic tools, they are beginning to realize that achieving this vision is hard work. It takes significant investment in information technology (IT) systems as well as change and process management. Companies are also finding that the key data that they need is often missing or inaccurate. The promise of big data analytics is coming, but perhaps not as easily as initially thought. That was the main message conveyed by the results of the "Second Annual Big Data Analytics Study" conducted by the analytics company Competitive Insights LLC; the consultancy lharrington group; CSCMP's Supply Chain Quarterly; and two prominent supply chain management schools, Arizona State University and Colorado State University. Don’t miss the opportunity to participate in the Supply Chain Exchange at EDGE 2019 in Anaheim, California, September 15-18. The Supply Chain Exchange is a one-of-a-kind exhibition delivering real-time, fully integrated opportunities while introducing potential customers to innovations and technologies spanning the end-to-end supply chain. 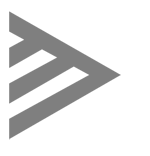 59 percent of EDGE attendees are director level and above which means you will have the opportunity to talk with decision makers face-to-face. If you haven’t signed up yet, now is the time to act, while premium exhibit space is still available! We have already sold 50 percent of the 2019 Supply Chain Exchange. Solidify your exhibitor participation before we sell out! Get complete information about the exhibition and view the current floor plan. 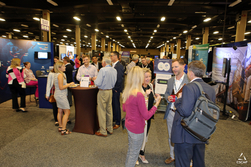 Downstream 2019 takes place on June 11-12, 2019, at the George Brown Convention Center in Houston, Texas. The exhibition and conference will bring together 10,000+ downstream professionals across the petrochemical, chemical, refining and LNG value chains for the world’s largest showcase of Downstream focussed innovations, products, services and technologies. • 10,000 attendees at the industry’s top networking opportunity – With more than 10,000+ attendees representing the leading decision makers from every major vertical the exhibition will bring together the entire Downstream industry. This is where the best suppliers meet key industry players and decision makers. • 350 booth expo demonstrating cutting edge Downstream innovations – With hundreds of exhibitors showcasing the latest and greatest Downstream-focused innovations and solutions, there’s no better place to discover your next game-changing strategic partner. • 4 focused content theatres – On the Tradeshow floor, attendees will access free-to-attend technical and educational seminars/workshops addressing daily challenges faced by operators. • Live Demo Zones - the sold-out exhibition will also play host to live demonstration zones where you will be able to gain an exclusive insight into the next generation of product innovations destined to revolutionize the industry. Get the latest issue of the Logistics Manager Index (LMI). 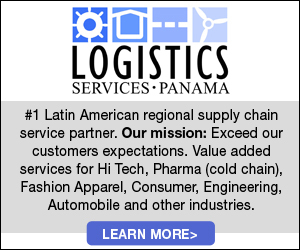 The LMI is calculated using a diffusion index, in which any reading above 50 percent indicates that logistics is expanding; a reading below 50 percent is indicative of a shrinking logistics industry. The LMI score is a combination of all of the other components that make up the index including inventory levels and costs, warehousing capacity, utilization, and prices, and transportation capacity, utilization, and prices. Transportation capacity is expanding and seems to be pushing the growth rate in prices down – especially when compared to this time a year ago. You can tell from the graphs I’m attaching that we’ve had big changes on those fronts in the last year. Transportation Prices (a really important economic indicator) is still growing, but at a much slower rate than it was last year. Have you considered earning an industry credential? The purpose, process, and preparation involved with certification examination will be discussed as we share CSCMP’s levels of certification available to Supply Chain professionals. This event's presentation will feature discussions on why adding a credential to your resume can enhance your career opportunities. Further discussion will explore the different levels of certification available as well as the education and experience requirements for each. The examination process itself will also be explained. Additionally, preparation opportunities, guidance, and tips will be shared to enable you to take the exam with confidence. CSCMP Charlotte Roundtable will host North Carolina Port's Tom Guthrie, Director Key Accounts and Commercial Development.Tom Guthrie joined the NC State Ports Authority in June 1990 as the Regional Marketing Manager in Charlotte, NC, and is currently Director, Key Accounts & Commercial Development in Wilmington, NC. 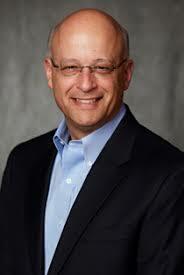 Tom's primary focus is developing additional import / export business for the container carriers. Join CSCMP Silicon Valley / San Francisco for a very special event. We’ll explore the topic of ‘scaling’ through the lens of supply chain management executives of the world’s largest, fastest growing and most exciting companies. Is a supply chain optimized when speed is prioritized over efficiency? Co-author of Blitzscaling, Founder of Blitzscaling Ventures and General Partner of Wasabi Ventures Global, Christopher Yeh will deliver an opening keynote and autograph his book, "Blitzscaling" for all participants!